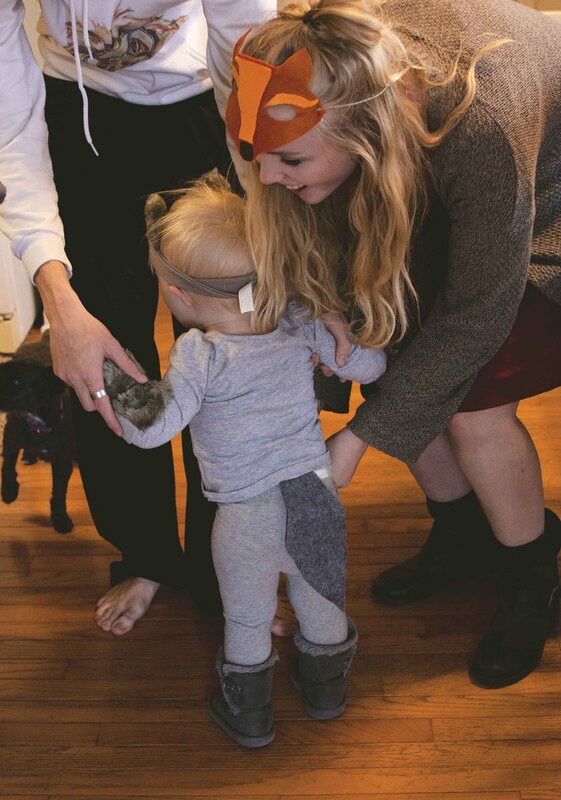 I got to accompany my niece for her first trick-or-treat outing this Halloween! 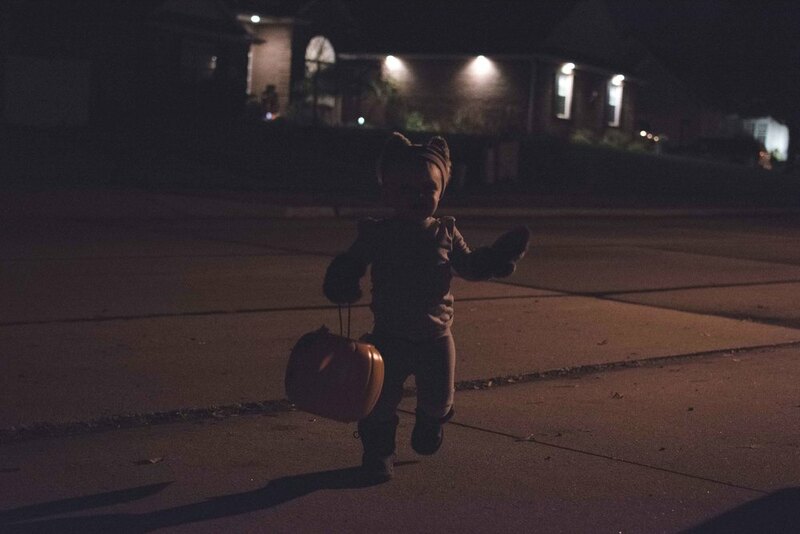 We went to my parents' house and passed out candy, and went to one house (there aren't many lit up on our street). 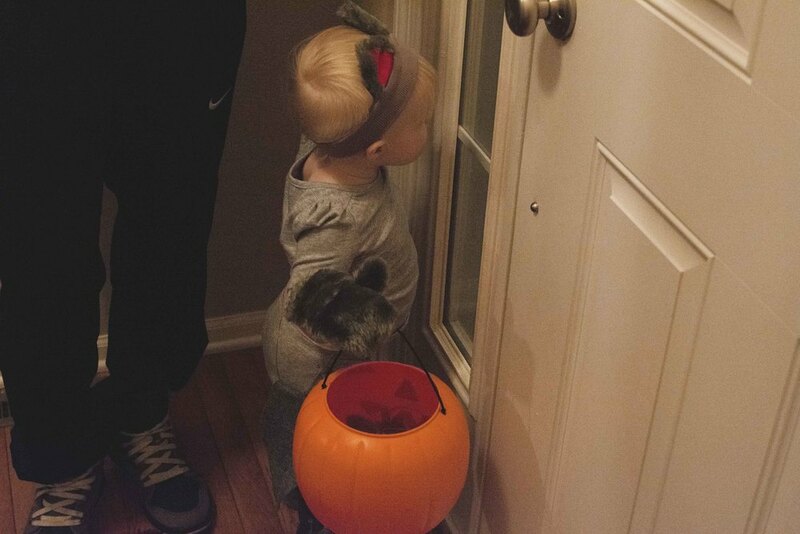 My niece loved watching the other kids dressed up coming to the door, and thought that a stranger giving you a handful of candy was pretty awesome. 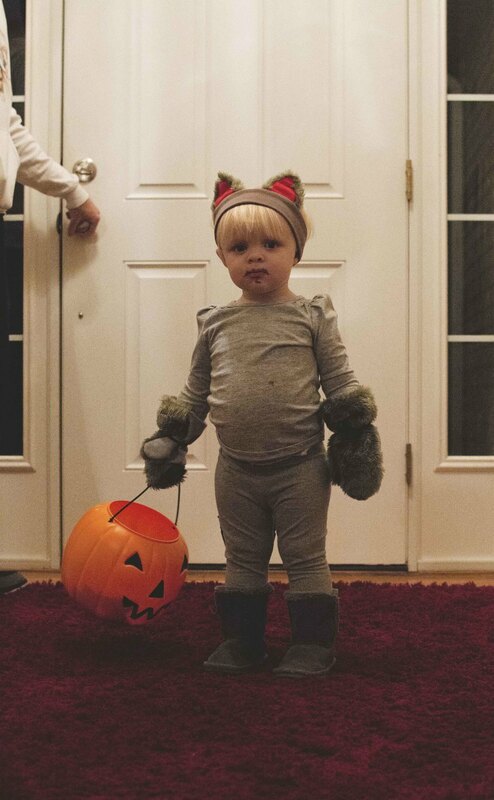 Bailey's mom, Sam, designed her costume, modeled after Bailey's favorite stuffed animal, Wolfie. 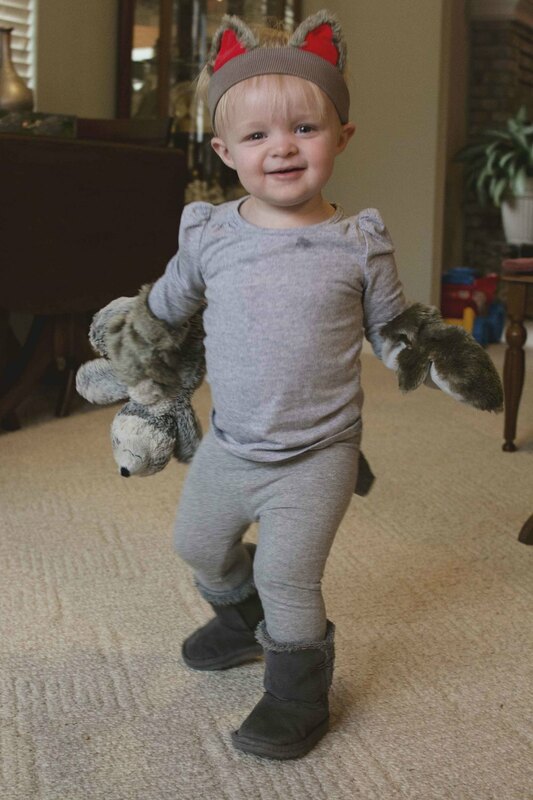 She has just started a new blog where she documents her and Bailey's life: What A Fun Day Blog. 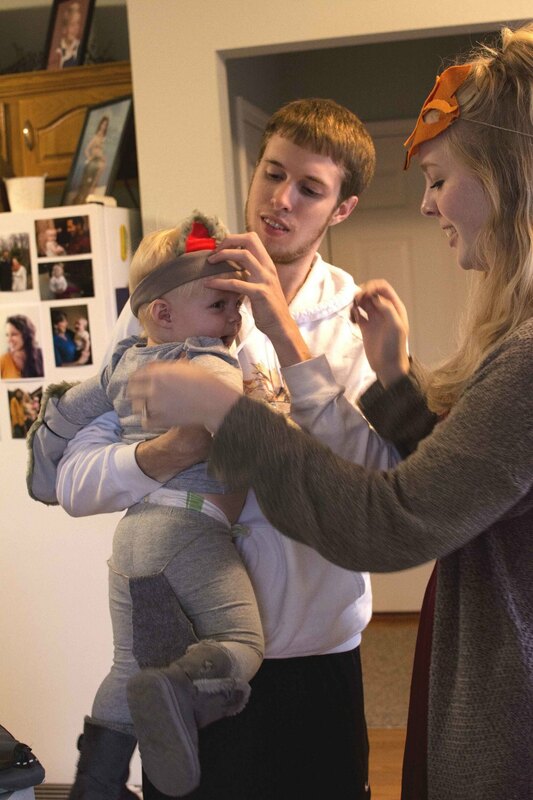 It's pretty awesome (it features my niece, how could it not be? 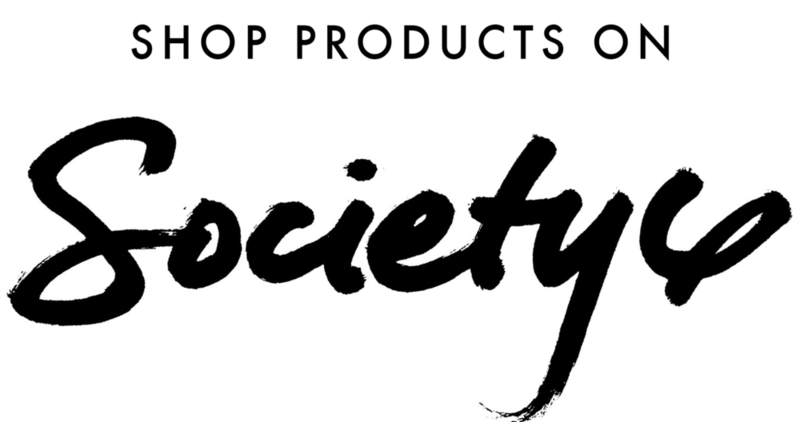 ), and you should check it out. 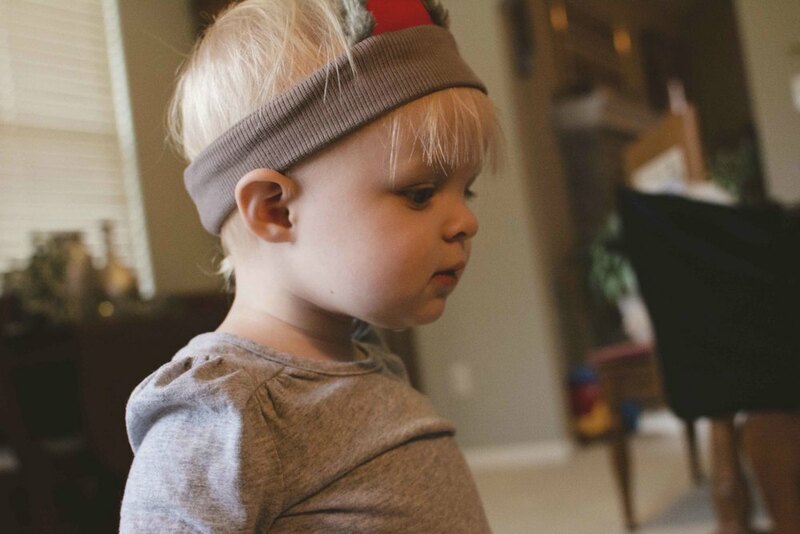 She had little gloves to wear on her hands, along with a headband and mask that she refused to wear. The struggle was getting the costume on her and convincing her to stand in good light for pictures, as you can see in the photos. All in all, it was adorable. And I couldn't get enough of it (as you can see from the obsessive quantity of photos). Hope you enjoy them as much as I do! 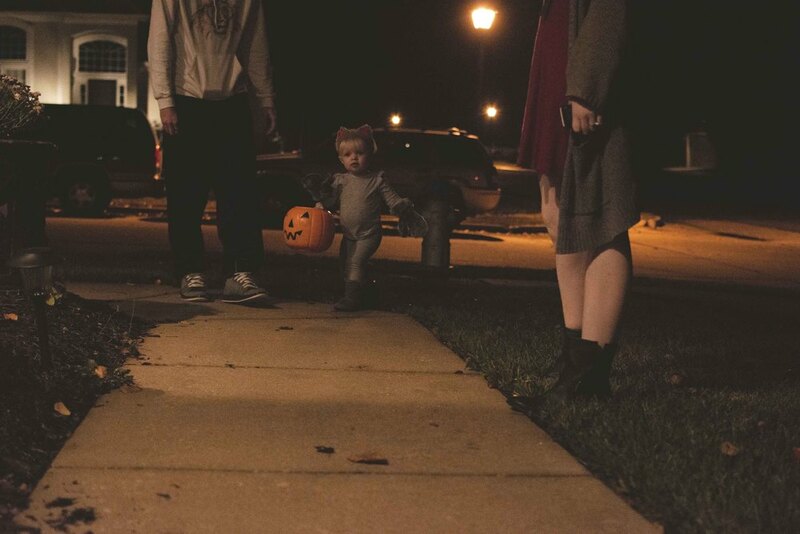 After she had been loving watching the other kids come to the door, we decided to take Bailey trick-or-treating. 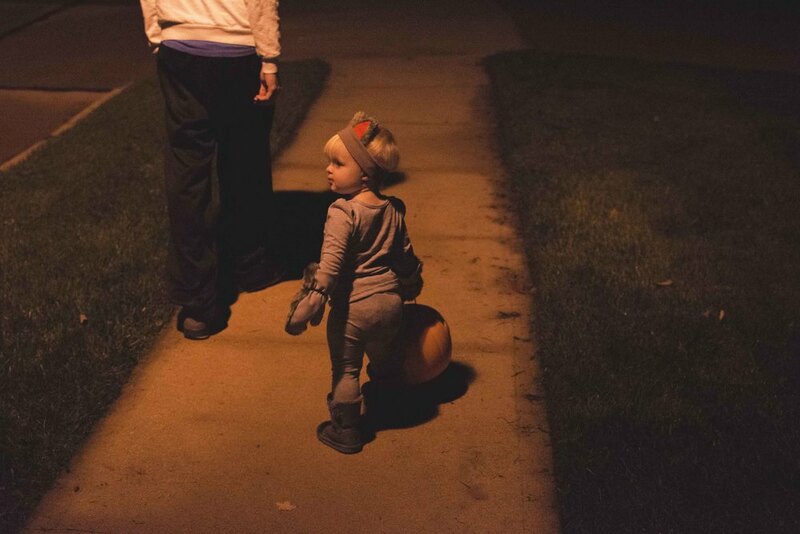 We only made it to one house on the block, but then trick-or-treated Grandma and Grandpa's house, too. Pumpkin art at the house we went to. Pretty clever if you ask me! It was really interesting to shoot in the dark - I was shooting at an ISO of 6400! You can definitely feel the grittiness on the images, but think it works well with the Halloween context.